Bill Pere was voted by Music Connection Magazine as "One Of The Top 50 Guiding Lights Of The Music Industry. " Author, "Songcrafters' Coloring Book: The Essential Guide to Effective and Successful Songwriting"
IC: You've been an Indie Artist for more than 30 years, long before the word "Indie" was ever used, and you're also the President of the Connecticut Songwriters Association, which is a well known organization in both the mainstream and Indie music scenes. How did that come about? CD Baby, no cell phones, no EPK's, no digital recording, no social media, and no CDs (still vinyl). All the tools currently used by Indie artists did not exist, and the term "Indie" was not in the lexicon. Welcome to 1979, when I had just moved to Connecticut from NYC. I saw an ad in the local paper inviting local artists to a meeting of an new organization just being formed, the Connecticut Songwriters Association. More than 100 artists showed up in the first few months, and the organization got off to a great start, drawing 50+ people a week to showcases in hotels, for which the organization was paid $150 per night by the hotel. This could never happen in today's Ôpay-to-play' world. The organization had the benefit of having easy access to top industry people and artists from New York City, who would come monthly to Connecticut, donating their time to teach about the craft and business of music. 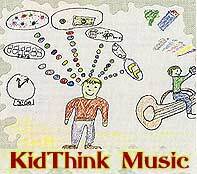 I maintain to this day that I could not have gotten that kind of music education anywhere else at any cost. We learned about the craft and business of music and were able to develop ongoing relationships with industry pros in NY, Nashville, and LA, including music icons like Gene Pitney, Pete Seeger, Steve Chapin, Rupert Holmes, Sheila Davis, George David Weiss, Steve Katz, John Braheny, Steve Seskin, Bobby Weinstein, and so many more. Several CSA members who had recently begun careers as singer-songwriters decided that the only way to really "make it" was to do it independently i.e. independent of a record company, but with the help, support, and pooled knowledge of CSA colleagues. The nature of CSA became that of teaching not only the craft of songwriting, but also how to succeed without the backing of a record company, a mission which we still carry on today. In the 32 years since then, many from that core group of artists who were just starting out have done one and only one thing for all that time - music. No "real" jobs - just music. It has been their living and their life, and many have been successful both artistically and commercially on an national scale. All of these folks were Indies before Indie existed, as I'm sure many other artists were as well, but one difference is that this group built a living legacy - the organization which they helped start 32 years ago, are still members of, and helped shape as officers and board members, still thrives today as a major source of support and guidance for today's generation of Indie artists, and I am very proud to serve as President and Executive Director. CSA has been a major sponsor and content provider of the Independent Music Conference every year since that event's inception (2003), as well as other Indie-oriented conference events around the country. There are now many great organizations and resources which are invaluable for today's aspiring songwriters and performers, but few other organizations have a 32-year history of supporting artists who seek to make a living through music as an independent. IC: You're widely known in music circles coast-to-coast for the help you provide to artists seeking advice on the craft and business of music. What drives you to devote so much of your time to helping others? Bill: I was fortunate enough to be in the proverbial Ôright place at the right time' on a particular night 32 years ago. At this point in my career, I seek to make it easier for today's up and coming artists to find their own magical confluence of time and place. IC: You recently wrote a songwriting book which has been getting great reviews. What's the story behind that? 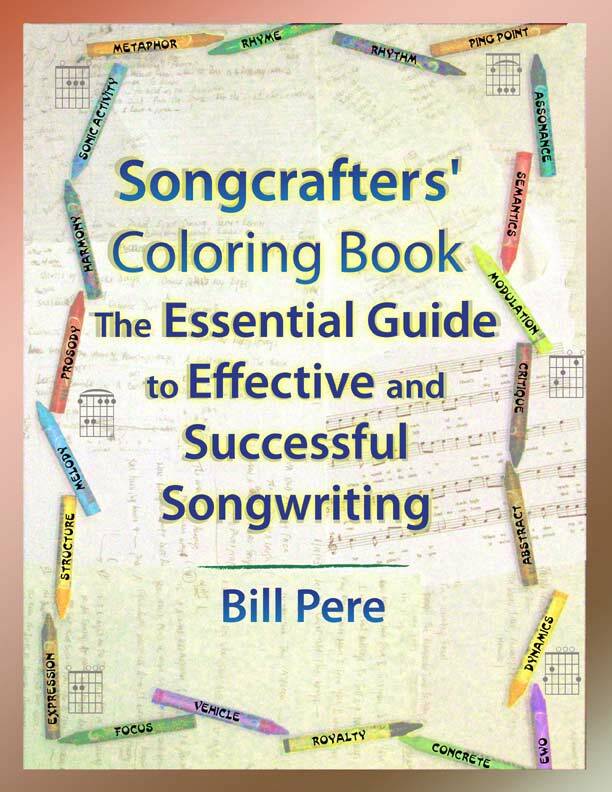 Bill: "Songcrafters' Coloring Book", which is now in second printing, was released in 2009, and has been getting highly positive feedback from folks across the U.S. and abroad. In my time with CSA since 1979, I've had the unique opportunity to work with more than 10,000 songwriters at all levels, and to hone the art of song analysis with guidance from top pros. Folks are surprised to learn that I have a graduate degree in Molecular Biology, but my background in science and my certifications in Myers-Briggs personality profiling and public education help me to take everything I've seen and heard and break it down to the essence of what makes songs work or not work. I had been writing articles on various topics since the 1980′s for many of the music industry publications, and people were always telling me that the information should be turned into a book. After 30 years of collecting data, I felt I could present very sound conclusions. My book does not tell songwriters what they "should" or "must" do, but instead shows them all the possible choices they can make, and the most likely results of those choices, in a way not previously presented anywhere else. It also provides specific techniques for implementing those choices. Then they can decide for themselves what's right for their music and their career. 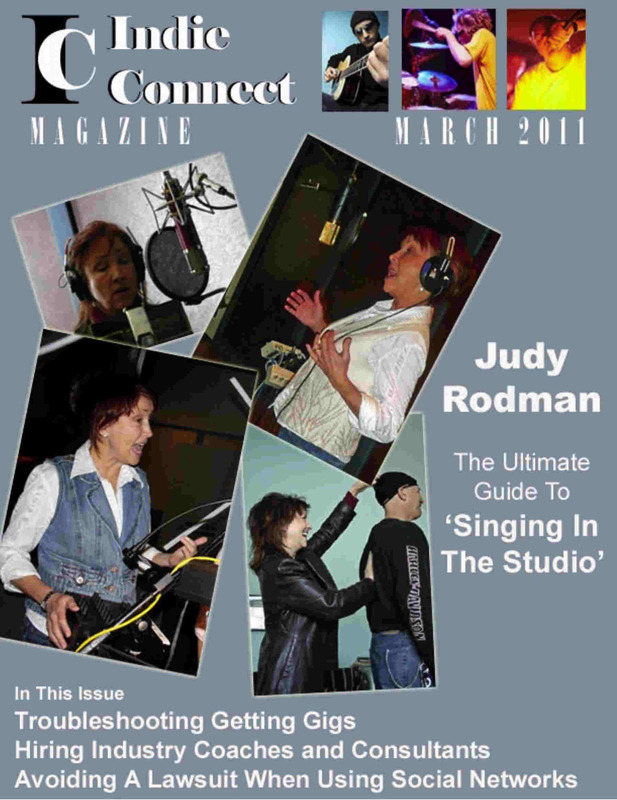 The songwriting workshops and retreats that I do are based on the concepts presented in the book. IC: What advice do you have for today's Indie artists trying to expand their fan base? Bill: The only way to really expand a fan base is to appeal to people who have never heard you before. In the last 30 years, technology, styles, trends, sounds, recording and performing have changed, but the essence of a good song remains constant and timeless. Reaching people in today's digital world is the easy part. The hard part is having products - i.e. songs - that can break through all the chatter competing for people's attention, and which then stay there in people's memory because the songs are better than the competition. An important part of achieving this is to always seek out qualified objective critique of songs before spending all the time and money to make a final recorded version. I've met many artists who avoid getting critique, and this is only to their own detriment. The other fundamental thing is to be able to balance writing for yourself (expression) and writing for an audience (communication) . The former is easy. The latter requires effort and mastery of craft, which is why many writers fail to connect with listeners. All songwriting is "art" but great songwriting is work. IC: You've released many CDs of original music. What would you say is your best work? Bill: Since 1981, I've released 16 of my own albums (the first two on vinyl!) and have produced hundreds of recordings for other artists. Although I've written more than 400 songs, there are a few that I would point to as being the cream of the crop, and those are spread across all the different recordings. I have a "Best Of" CD in the works, and that will collect the favorites from each of the recordings, plus several unreleased tracks. My releases include adult/teen collections, children's collections, Spiritual/Inspirational collections, and an educational/historical collection. I've also written several commissioned songs for specific events, including the 1995 Special Olympic World Games in New Haven Connecticut. IC: You write both music and lyrics, but do you ever collaborate with others? Bill: Absolutely - I am a big proponent of collaboration, and we conduct regular collaboration workshops through the Songwriters Association. 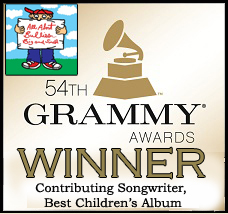 I've had the privilege to work with several other great writers, and I would have to say my biggest success is a song I co-wrote with multi-award-winner Les Julian which, in Parents Magazine (December 1995) was called "the best children's song about a moral dilemma ever written". IC: You write many detailed cinematic story-songs. Where do you get your ideas for storylines and characters? Bill: Part of being a songwriter is having little "antennae" that scan life's experiences for those moments of human existence that touch some part deep inside us. Whether it's my direct experience, or told to me by others, or things I read in the news, I always have those antennae out. One of my best stories, "The Crib in the Creche", is something I recall seeing as a child while at a church supper with my mother, but I had really never thought about it until she passed away and I was thinking back on her life. "Alizarin Crimson" is the story of my Dad's battle with Alzheimer's, and "doG" was inspired by my work with kids who have dyslexia and learning disabilities. "Teach Me How to Fly", and many of the "Cityscape" songs come from my time as a volunteer at a group home for teenage girls. My "High School My School" CD was inspired by the events at Columbine and my own high school experiences. IC: Who have been your biggest musical influences? Bill: Having grown up in the rich musical soundscape of the 1960′s I found different aspects of my music to be influenced by different sources. Musically, I studied the rich chord progressions and arrangements of Jimmy Webb (the first Grammy Winner for arranging). Vocally, I was captivated by how the 7 voices of The Association could sound like a full choir. Lyrically, the incredible story-songs of Harry Chapin were what I aspired to. My guitar-playing was heavily influenced by the 12-string style of Roger McGuinn of The Byrds. And the totally unique song topics and their treatments by Pete Townsend and The Who added yet another facet. In college, I always had access to great orchestral musicians and I learned how to write and arrange for any instrument. Thus I do not write in any one "style". It depends on the song as to which influence is brought to the fore. IC: You've received major awards for your work in using music to raise awareness and support for social causes. Tell us about that. Bill: I believe that songs, like no other art form, have the power to reach people and move them to act. As songwriters, we have a platform to influence how people view any particular topic that we might want to place before them in a song. I was very much influenced by the work of Harry Chapin, who through his crusade against hunger, showed how one person could make a major difference in the world through music. In 1989, to carry on Harry's legacy after his death, I founded LUNCH (Local United Network to Combat Hunger), using the power of popular music to produce positive social action. We have since produced hundreds of benefit events, involving hundreds of professional artists and more than 3,000 kids, raising more than $1,000,000 for social service programs. I currently present workshops at conferences to teach the new generation of artists how to do successful benefit events. There is no better way to advance your career than by associating it with something greater than yourself. IC: What would you say is the most memorable moment of your long career. Bill: There are a few that really stand out - Performing live with the original Harry Chapin Band; being named "Indie Artist of the Year"; being honored at the Hard Rock Cafe in Times Square for my work with LUNCH; meeting Pete Seeger; and of course winding up on a special edition Cheerios Box as a hunger-fighting hero. Oh yes, one more - meeting my beautiful wife and partner -in-music-and-life at a meeting of the Connecticut Songwriters Association. IC: Any final thoughts for our readers? Bill: Success comes from opportunity and opportunity comes from involvement. Don't sit on the sidelines - get involved in your local music organizations. And above all, keep writing! One does not usually think of the Connecticut shoreline as a hub of music business activity. And perhaps that was true until New York City native Bill Pere settled there in 1979. With a career in the music business spanning four decades, Bill is named as one of the "Top 50 Innovators, Groundbreakers and Guiding Lights of the Music Industry" by Music Connection Magazine. The New York Times calls him "the link between music and science". Bill is the author of the internationally acclaimed "Songcrafters' Coloring Book: The Essential Guide to Effective and Successful Songwriting", and he is often a judge and critiquer for several national and international songwriting and performance competitions. 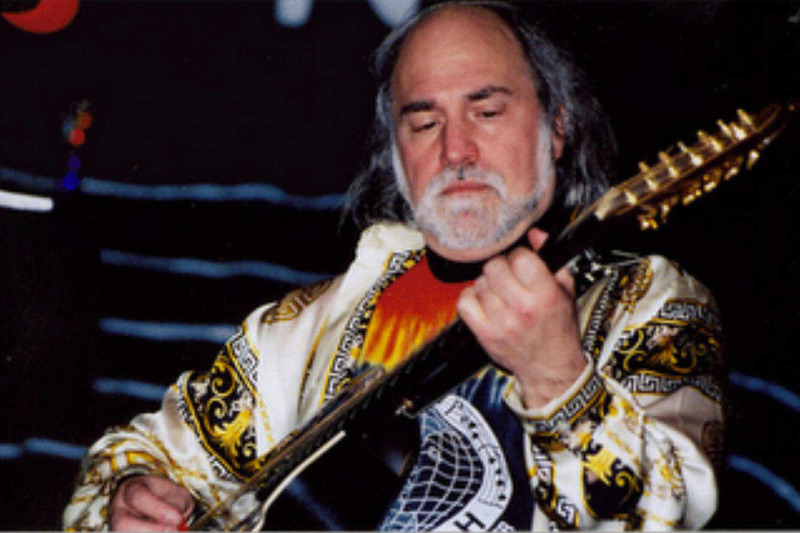 Bill is President and Executive Director of the Connecticut Songwriters Association, and is an Official Connecticut State Troubadour. He was named Indie Artist of the Year at the 2003 National Independent Music Conference in Philadelphia. His internationally published articles on the craft of songwriting appear in numerous industry publications. Bill has worked with top names in the music industry for more than 30 years. Bill is well known as a songwriter for his tightly crafted lyrics, and has recorded and released 16 CD's. He is the Founder of Local United Network to Combat Hunger (LUNCH) using popular music to raise more than $1,000,000 for hunger relief and social services, and appearing on a special edition Cheerios box as one of 10 "Hunger-Fighting Heroes". Bill does workshops around the country on how to jumpstart your career by targeting your songwriting and partnering with the non-profit sector. 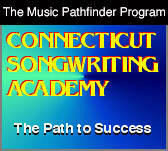 As Executive Director of the Connecticut Songwriting Academy, Bill works with aspiring songwriters and performers around the world to help them achieve their goals, and helps provide scholarship awards for promising young talent.